The border went better than expected, with only a little hassle from the Gendarme, and some gentle persuasion to get the carnet stamped at customs. 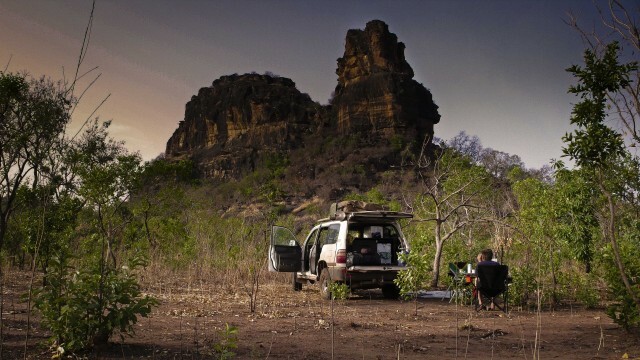 We drove on late into the afternoon passing through the Bandiagara Escarpment, Dogon Country. What a place! 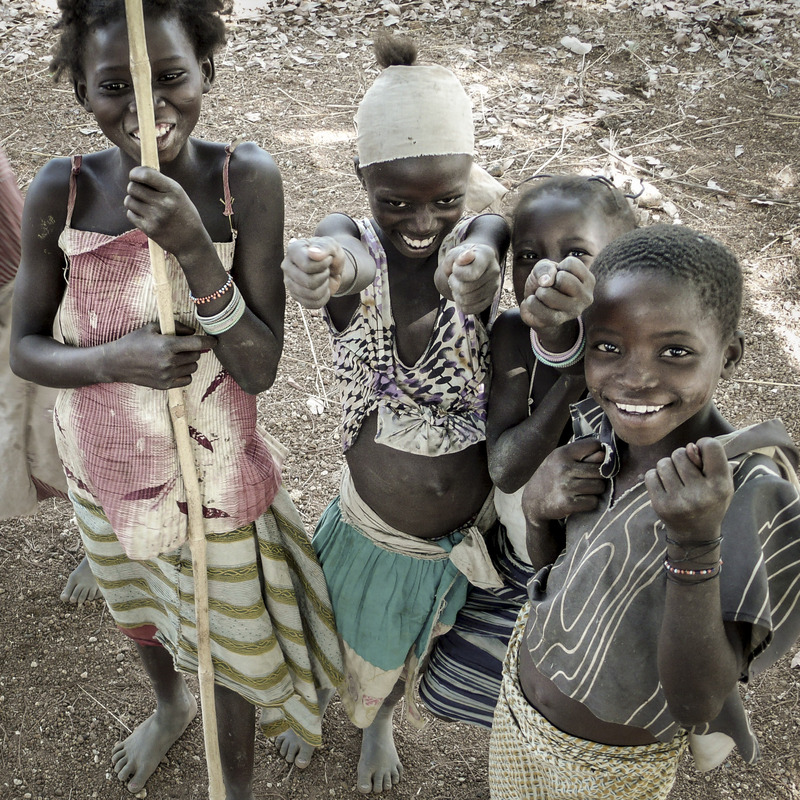 Completely untouched by religion, traditional tribal life continues. 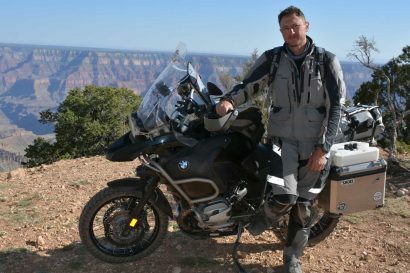 We found a good campsite and settled down for two nights fixing the fuel tank (again) as we had spotted yet another hole lower down. 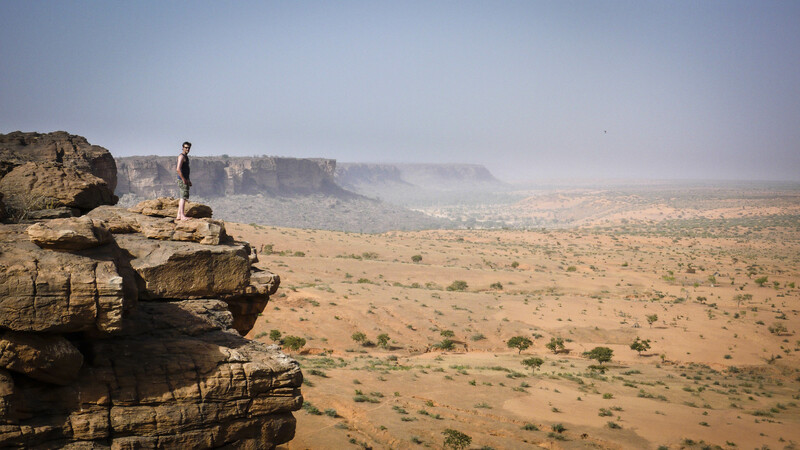 On the second day, we tested our repair and then went out across Dogon to explore. On the road to Severe late in the afternoon, the Cruiser must have sucked some air into the fuel system (both fuel gauges weren’t working) and we ground to a halt. We changed the fuel filter and turned the engine over: nothing. Just when we thought the battery would give up, it fired into life. Onward to Severe. We left early the following morning, and noticed yet another fuel leak while refilling. 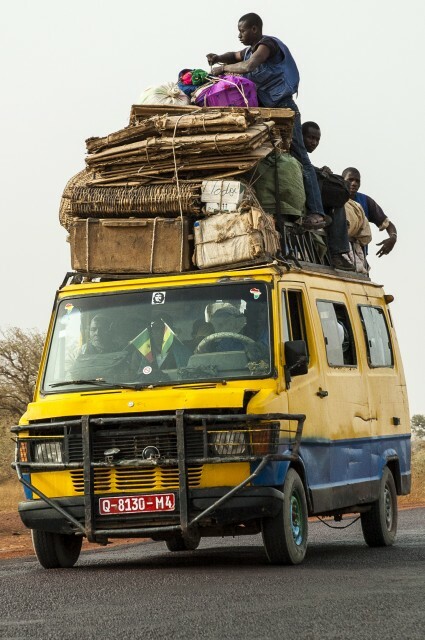 Meanwhile, we had received news that vehicle restrictions may prevent us getting the car into Senegal. 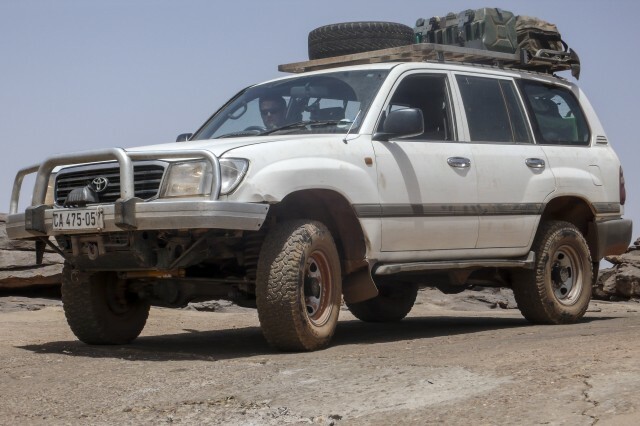 We needed to get to Bamako where we could find out more from the Embassy, and hopefully fix the fuel leak. 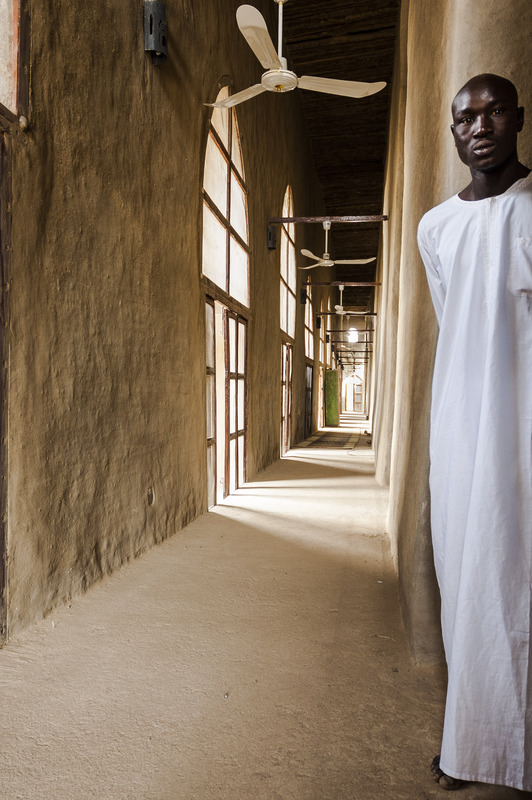 On our way to Bamako, we stopped at the city of Djenne to visit the Grand Mosque, a UNESCO World Heritage Site. Following the T4A maps, we crawled past donkey carts, open sewers and the bustle of a market town. Pulling into the main square, we were surrounded by the now-familiar aggressive shouting squabble of sellers, hawkers, guides and would-be guiders. We left them behind to take some photos, and a young, calm chap approached us; another guide, and we liked his manner. ‘Bob’ was 22 and spoke excellent English. He could get us to the high spots for photos and would speak to the Imam about letting us inside the mosque (not without some Baksheesh, mind you). 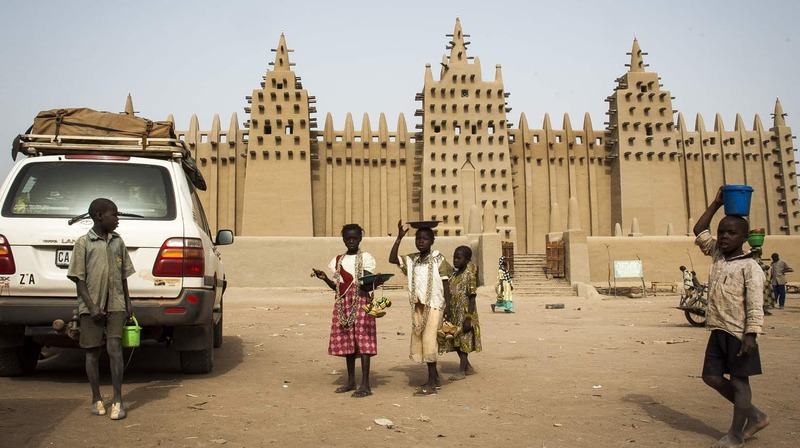 The Grand Mosque in Djenne is one of Africa’s greatest wonders, and is the biggest Adobe (mud structure) in the world. It is the oldest city in Sub-Saharan Africa, situated on an island surrounded by the Niger and Bani rivers. Founded by merchants around 800AD, Djenne was Mali’s most important trading post in the 16th Century due its trade links with Timbuktu and location close to the salt and gold mines. 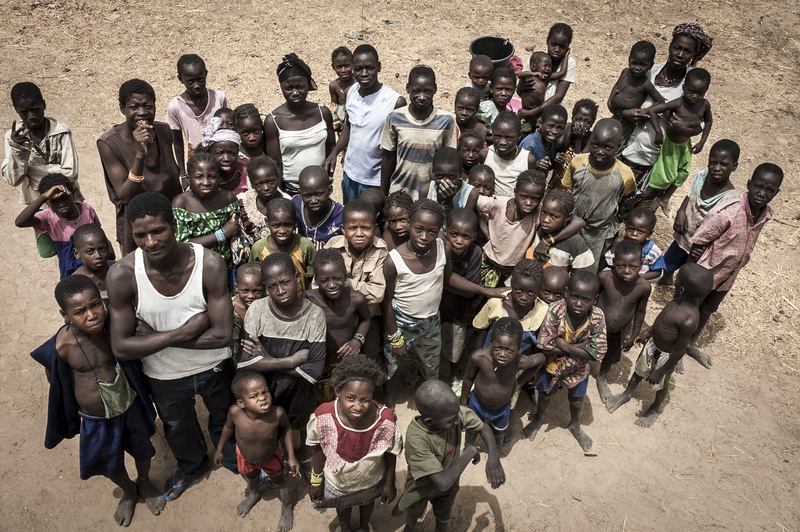 Djenne has many Koranic schools (approximately 20) and attracts students from all over West Africa. It is also a pilgrimage site for many Muslims. 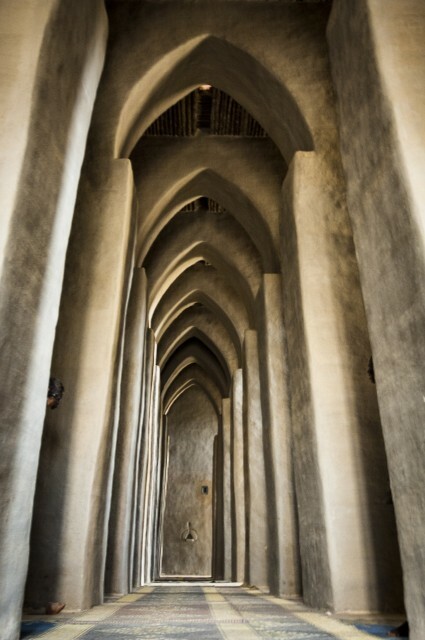 The Mosque itself is made from sunbaked mud bricks using a mud mortar with walls up to two foot thick in places. This helps the mosque stay cool as it can hold up to 3000 people! It was a brief visit; Bamako was still some 500km further south. Passing through sandstorms, the day grew darker and we witnessed more than a few traffic accidents. As we reached the city limits of Bamako, we had several near misses in the rainy darkness; we came close to rolling once and a moped spilled its occupants onto the asphalt right in front of us. The conditions improved slightly with the city streetlights, but that was little consolation when we found that both campsites on the outskirts were closed. We had to find a cheap hotel, not an easy task when it’s 10pm and you are already on your last legs! The next day, while searching online for the Senegalese Embassy, we stumbled across an advert for the Sleeping Camel. An overlanders hang out and camping spot in the heart of Bamako, it was only 400m from the Senegalese Embassy. Perfect! We dropped the vehicle off and proceeded on foot to the Embassy, dodging the usual street hawkers and hagglers. The embassy visit proved favourable, and we were given the go ahead to use the carnet in Senegal for the vehicle. The official wouldn’t put it in writing but it was god enough for us! We crossed our fingers and hoped for the best. The next thing on our list was a new fuel tank, so it was off to Toyota to see what they could do. How about a three-week wait and paying 750,000CFA ($1300 USD) for the privilege? No thanks. Luckily, a mechanic stepped in and showed us to a friend’s place where they promptly dropped the fuel tank, drained it, flushed it and began to braze up the 2 holes. Watching a blue hot flame touching an open petrol fuel tank made me wince and run behind the nearest wall! Needless to say, there were no explosions and we were up and running in no time. 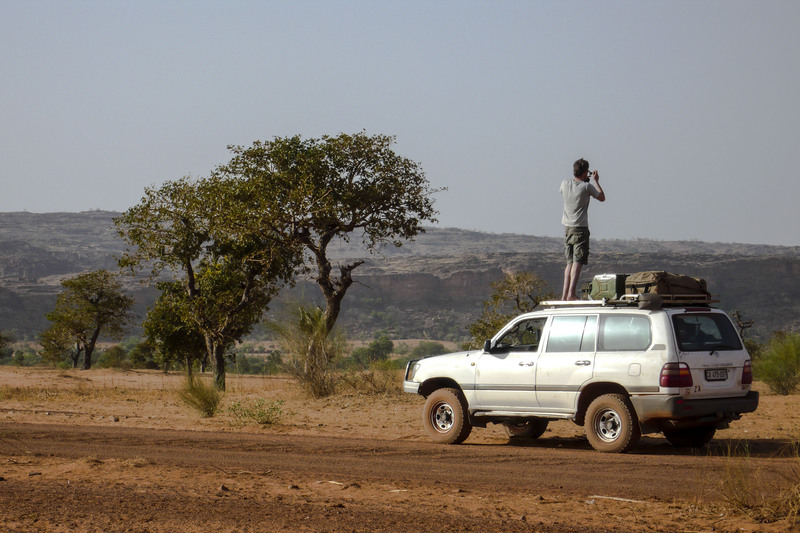 Eager to get out of the city and back on the road again, we left Bamako early to get to Boucle du Baoule National Park. 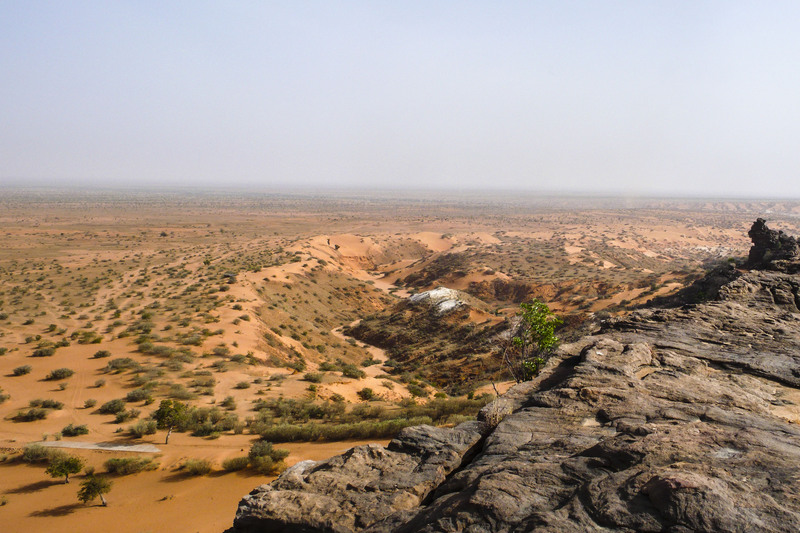 The National Park occupies a huge expanse of area, some 2,500,000 hectares. It would be the biggest park on our list. It was designated a UNESCO site in 1982, but all the large mammals have been hunted and again there is nothing left. The guidebook stated that there were three encampments, and that the piste was rough. It also said to enter from the south. Baoule is bordered to the north, south and east by national highways, but to pass through covers some 200km of fading dirt roads, cart tracks, hamlets and nothing else. We had to map this park taking all main junctions, main passable routes and tracing them to their destination or, more commonly, dead ends. 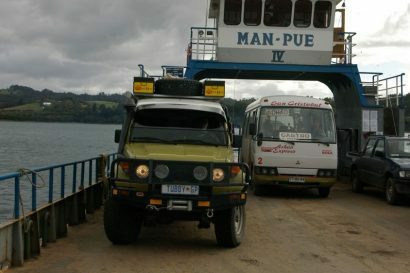 Our main concern was the uncertainty of a fuel station on the southern highway once we reached it. Bamako to Kita is a 200km open stretch of road. Would there be fuel? Where would we exit? Would we even be able to exit? We had to keep our eye on fuel consumption and distance. Because of this, we decided we would replenish supplies at Djema to the north of the park, and then retrace our path some 10km to follow a piste south into the park from there. This would ensure we were at full capacity before entering the park. Getting fuel here was difficult. Only one station had petrol as all the trucks, minibuses and taxis used diesel, and the owner was reluctant to sell us any as it serves the local population of mopeds. We managed to squeeze some 40 litres out of him – at a premium of course. from old French IGN (International Geographic National) maps from the early 20th Century, so the finer details of dirt tracks, secondary pistes and roads in general were not always present and correct. 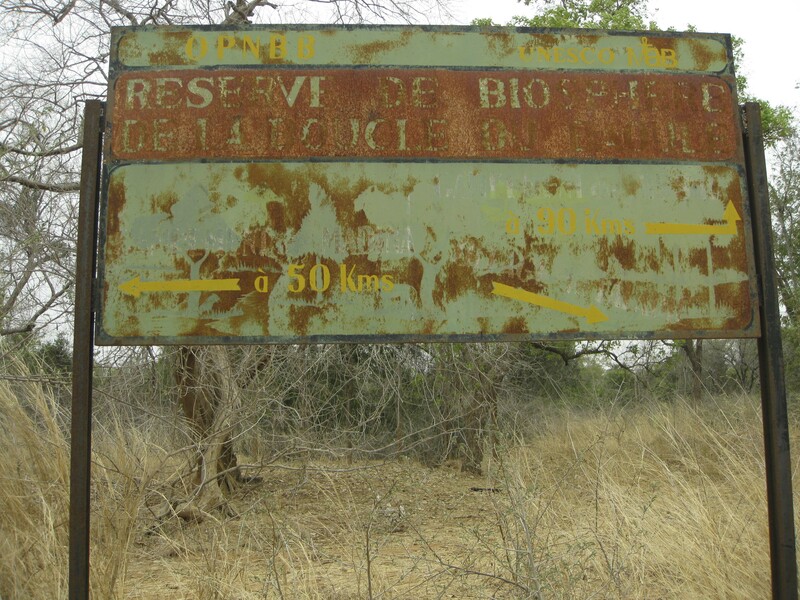 We reached Baoule in the late afternoon, navigating the ever-narrowing piste used primarily for donkey carts. 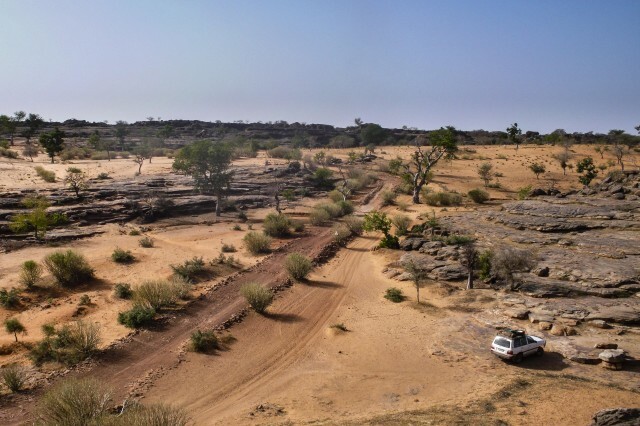 The dry riverbed of the Baoule signified the park boundary; we drove the 200m to the other side (not sure what happens when the river is flowing) and came across a small group of men setting down their carts for the night. They were wary but inquisitive, and spoke a local dialect, rendering our basic French useless. 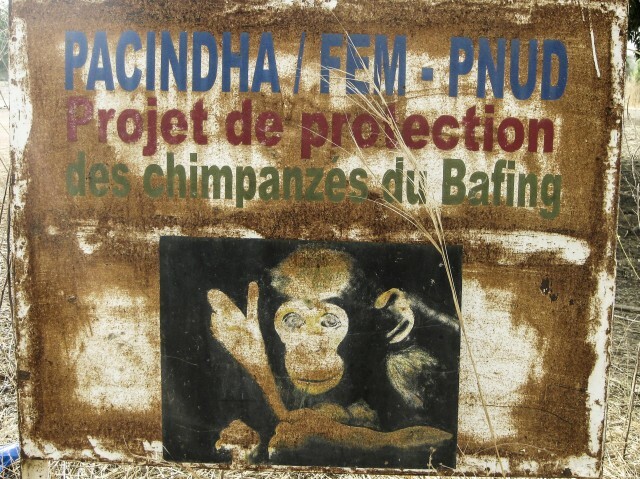 Not wanting to impose, we gave each one a small parcel of coffee and sugar (for which they seemed very grateful, if a little perplexed), shook hands and smiled before moving on, making camp just a few kilometres away. Pushing on south, we were looking for a piste heading east that would bring us around into the centre of the park. Each track we took got narrower and the only traffic we saw were bicycles and one or two mopeds. Skirting past small villages, we drove through some tight bush that must have only seen two- wheeled traffic. Getting even more remote, the villages turned to hamlets with only a handful of families working the arable land. Elders hid inside their straw huts shying away from us even though we were still some 300m away. With no distinct path through, we headed back southwest in the hope of picking up a better track. 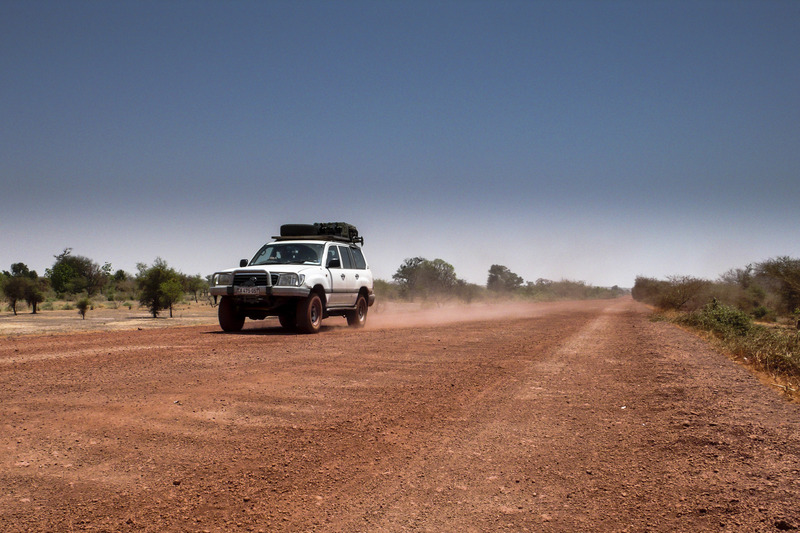 Hours went by as we slowly traversed the increasingly dense bush, pushing through steep oued crossings. Eventually we came out of the park and ended up in another village. 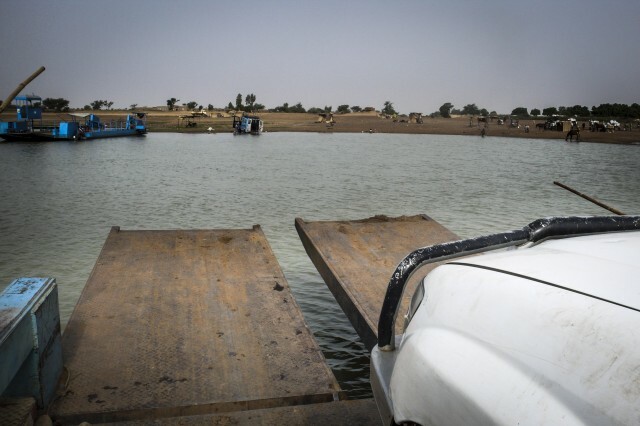 We asked for directions out of their village and a way south, but this was met with blank stares and curious looks, so we tried to navigate the wide Land Cruiser through the tight settlement that was never designed for any form of vehicle. Eventually we stopped and produced a map. Surrounded by curious onlookers, they did not understand what we were doing, or maybe even what a ‘map’ was. A couple of the older kids were standing close so I started to name some of the villages off the map in the direction we wanted to go. If they had no perception of compass direction or maps, perhaps they knew the names of other local villages that they trade with. Right? I started with Kita, about 125km away. Silence. The entire village was out around us at this point listening intently. Maybe somewhere a little closer, around 50km away: “Eremokono?” More silence. “Moro-Moro?” The whole village erupted, repeating “Moro-Moro!” and running in the direction we needed to go, gesturing for us to follow them. They moved huge piles of firewood by hand to clear the way as I tried to navigate the Cruiser through. Simon walked through the village in front of the Cruiser as it crawled onwards. We thanked everyone for their help and I took the opportunity to take a picture from the roof rack of the village out to greet us. It was such a memorable moment. vibration and transmission backlash. We were over 100km from the nearest piece of asphalt and well over 300km from the nearest known fuel source, yet we were still forging a path deeper and deeper south into the reserve. 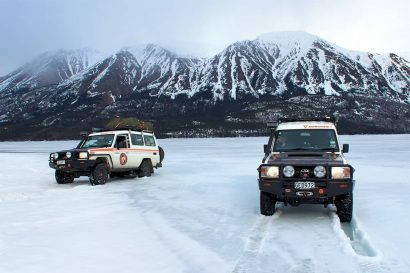 We pulled over to wild camp after passing through several remote villages and decided that we would return the way we came the next morning. It was a real shame as this part of Mali is truly beautiful, very remote and a place I will never forget. 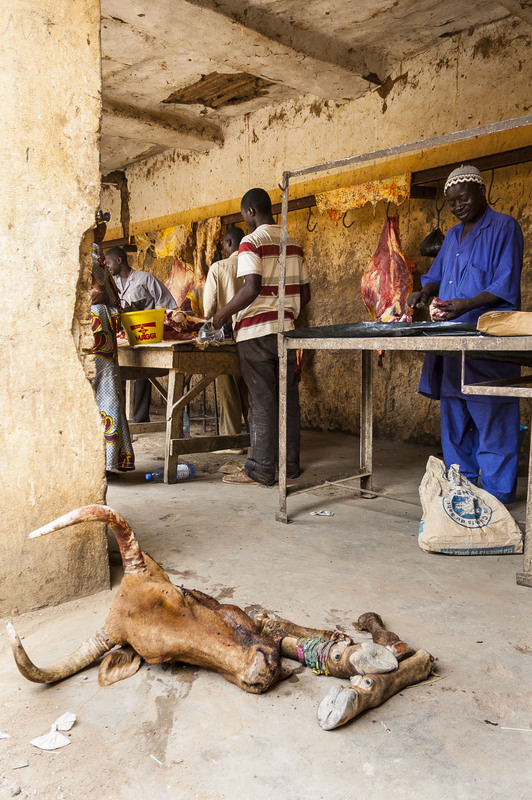 After overnighting in Kayes we headed off for what would be our final country, Senegal.